All of the Gold Line products are manufactured under the following international quality standards and certifications. STMC stands for Standardized Test Methods Committee. The International Imaging Technology Council (IITC) manages the STMC program to assure compliancy in certified organization to evaluate toner cartridge performance through ASTM test methods benchmarked against OEM products. ISO 9001 is the international standard that specifies requirements for a quality management system (QMS). Organizations use the standard to demonstrate the ability to consistently provide quality products and services that meet customer and regulatory requirements. 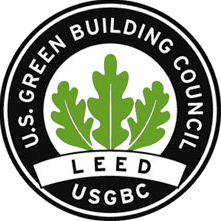 LEED (Leadership in Energy and Environmental Design) is an environmental and sustainability certification for commercial buildings. Companies or buildings that have meet the environmental and sustainability requirements achieve 1 of 4 levels of certification. LD Products Corporate Headquarters is the highest of the LEED certifications, Platinum Certification.